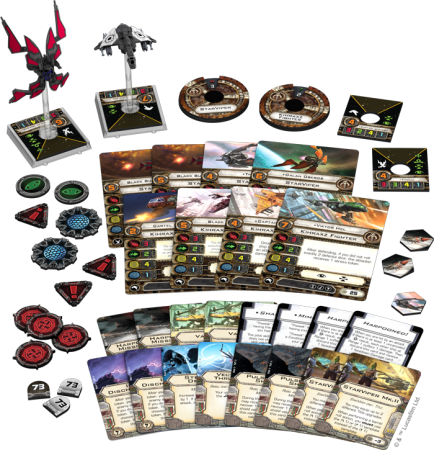 Guns for Hire Expansion for X-Wing Available Now! 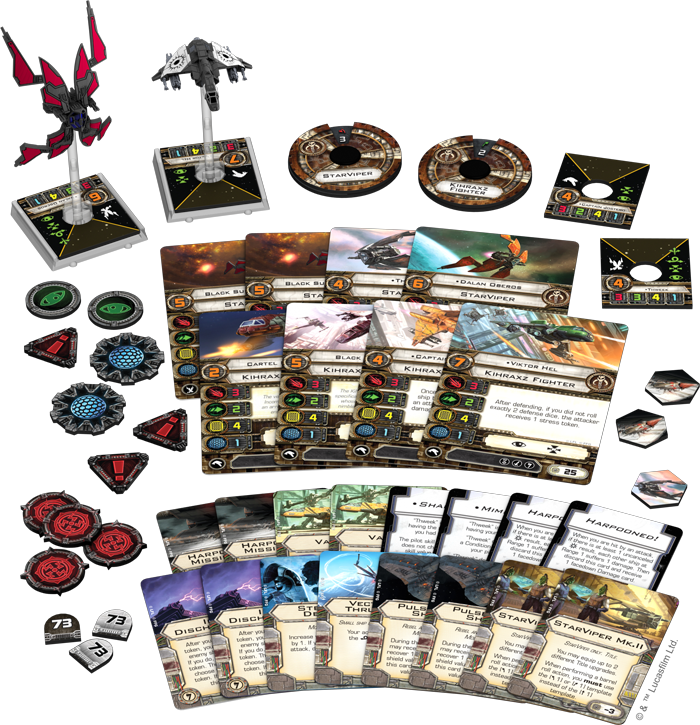 Pirates, bounty hunters, crime lords, junk dealers, Black Sun assassins, con artists, and mercenaries of all varieties—these are the galaxy’s Scum and Villainy. While the Galactic Civil War rages, they take no part. They serve neither the Empire nor the Rebellion. They serve only themselves, flying to battle only when it suits their interests. 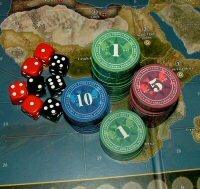 Only when the credits are sufficient. But if you’re willing to pay, these Scum will take on any job. They’ll be ruthless. They won’t ask questions. And they’re ready whenever you need them. 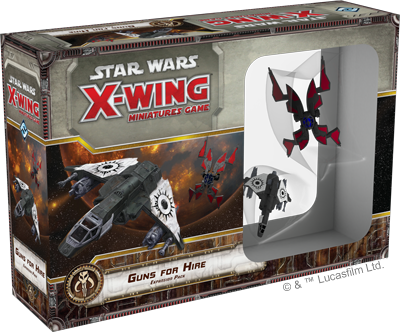 The Guns for Hire Expansion Pack for X-Wing is now available from Fantasy Flight Games!